Note that this report references work done by the HEO ISRU and Civil Engineering Working Group (ICE-WG). In addition to viewing its original presentation at the First Landing Site/Exploration Zone Workshop for Human Missions to the Surface of Mars (see NEX-SAG reference list), the ICE-WG slides can be found below, under "Working Group and SMD Reports". 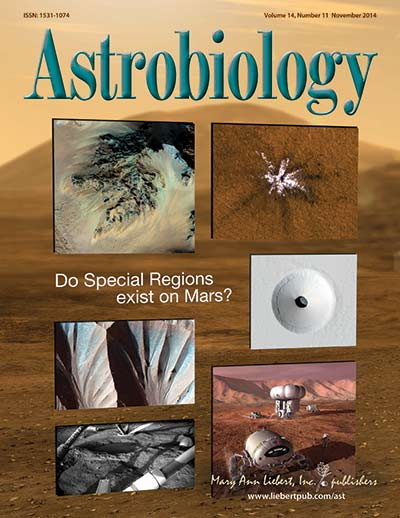 This site contains descriptions and links to the current activities by the MEPAG and the associated Mars community in support of the Planetary Decadal Survey (http://sites.nationalacademies.org/SSB/CurrentProjects/ssb_052412). Meeting 1, 9-11 September, Arizona State University, Tempe, Arizona. The NRC is also interested in input on topical science areas. Self-organized science teams are welcome to provide input related to the current state of knowledge (NRC’s task #2), scientific questions (NRC’s task #3), and the science goals achievable by small spacecraft (NRC’s task #8), and anything else within the decadal survey’s charter. To encourage and coordinate inputs, MEPAG is providing a place for the community to post their efforts. Please keep us informed if you are currently (or plan to) organize a white paper team and we can add it to the list if you desire.